I have created a series thirteen new Roerich Peace Pact pendants to coincide with the world wide meditation taking place today (Nov 28th, 2015) that is based upon this timeless symbol. All over the world, the Banner of Peace has been raised today in solidarity for peace as a means to unify people around cultural protection. 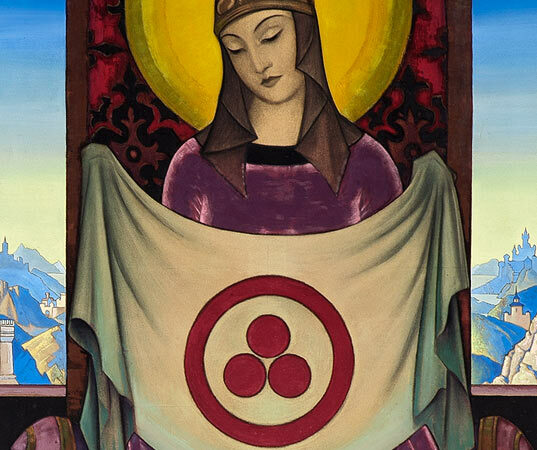 For more information on the Banner of Peace and Nicolas Roerich check out the links below. 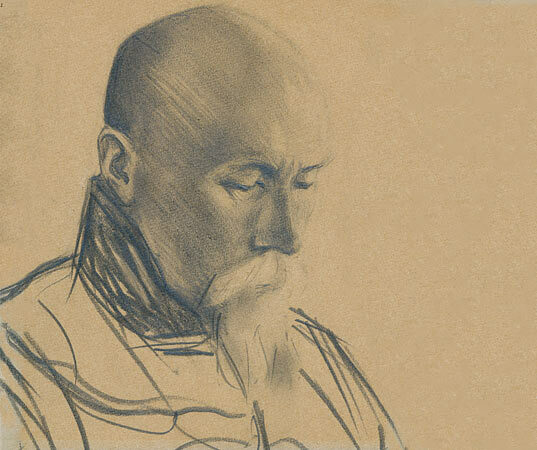 Nicolas Roerich was born in Russia in 1874. His life was filled with painting, travel, philosophy, and peacemaking. One of his greatest accomplishment was establishing the Banner of Peace as a symbol that could be used to unify all people. 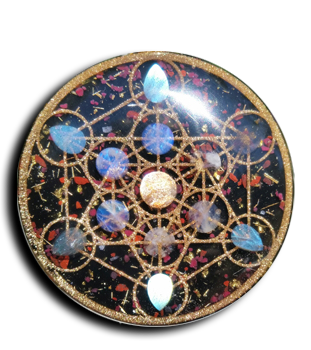 I am proud to share this wonderful symbol with all its meaning as an orgone pendant. These pendants are made with my own metal work of Gold, Silver and Copper. 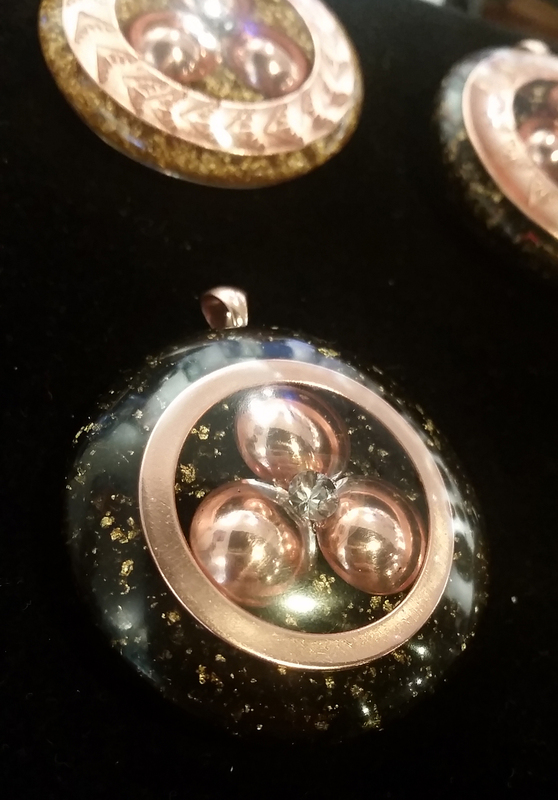 They are cast with a body of Elite Shungite, Gold Leaf, crushed Quartz, Malachite and Tesla Coils on the backside. 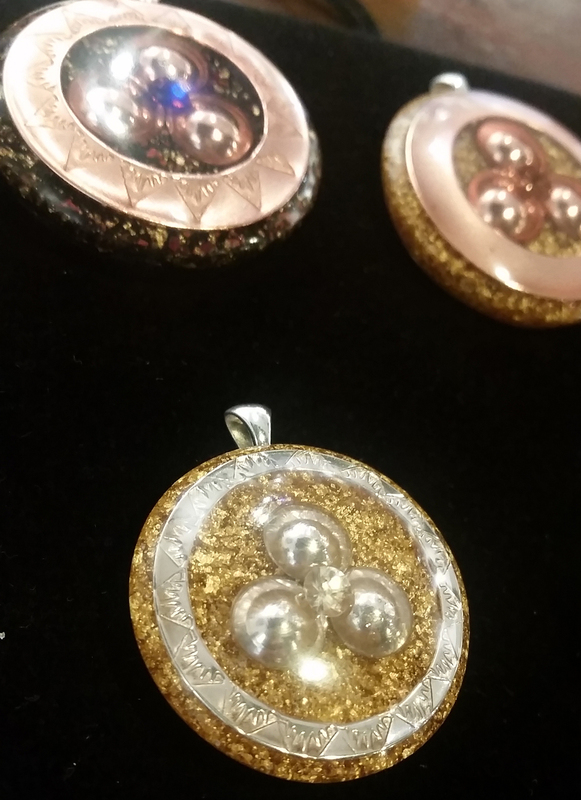 Each pendant is $260. Some will be posted in the Shop, but all serious inquires should be made to info@orgonix23.com.